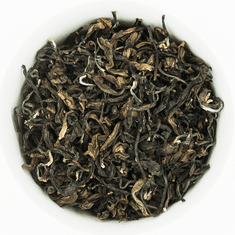 Oriental Beauty is also known as Bai Hao Oolong has unusually colored leaves ranging from black to red to yellow to white due to the local microclimate in Northern Taiwan. Unlike most oolongs, the leaves undergo a high degree of fermentation (80%) before it is baked. 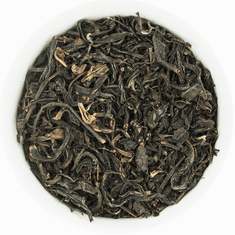 This tea is also known as Champagne Formosa Oolong because in Europe a few drops of champagne are added to each cup for extra flavor.